15 song, multi artist music compilation that will keep your focus on God. Get songs by David Martin, Miley Barcus, Julie Radebaugh, Matt Weaver, BB Barcus and more.. Praise God for these musicians who have been tireless in using their gifts to fill the hills of Zion with music. For years, these individuals have been giving their time and energy for His assemblies. Music is a gift from God to encourage us all to work together to finish the work of the Father. May this album encourage you as you give your whole heart over to the Father and to His glorious Son, Jesus Christ! All of these singers are truly gifted from God to write the most amazing praise songs. 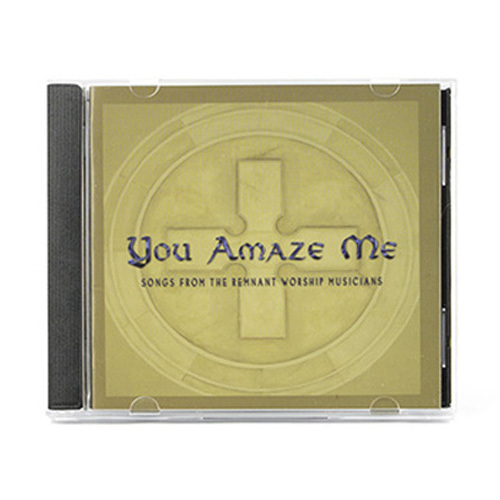 You will want this CD in your collection whenever you are in the car or at home. God will truly be praised and these songs will help you stay focused on Him and not the enemy's lies. My all time favorite is David Martin's "You Amaze Me". Miley & BB Barcus changed my life because of their commitment to God. Her "My Everything" is all together beautiful and totally glorifies the Father. Matt Weaver's "Only You" is powerful and convicting. And my dear Julie Radebaugh completely changed my hardened heart with her music. Her song "One" will bring you to tears. All of these artists could have tremendous worldly success, but have chosen to build the kingdom with their heavenly gifts. You and your family will LOVE this CD compilation!